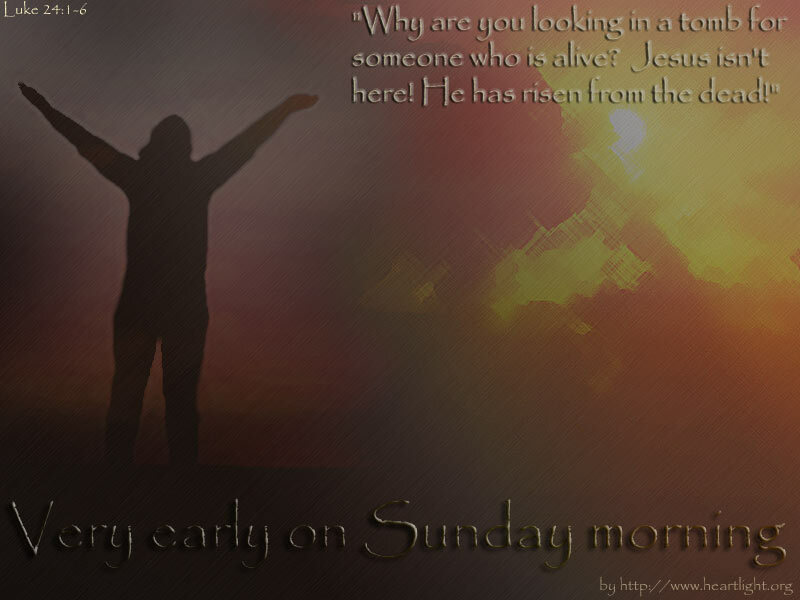 Description Heartlight Christian Powerpoint background of Luke 24:1-6 -- But very early on Sunday morning the women came to the tomb ... "Why are you looking in a tomb for someone who is alive? He isn't here! He has risen from the dead!"